In Odd Man Out (Carol Reed, 1947), IRA man Johnny McQueen (James Mason) is shot during a robbery and stumbles off bleeding through the dark streets of Belfast (although the city's name is never explicitly mentioned). 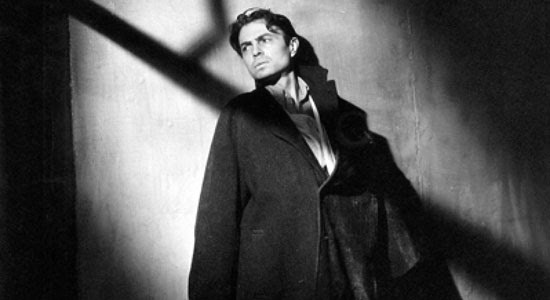 Starting out as a conventional noir thriller, it soon develops into a nightmarish, almost metaphysical affair, as the dying anti-hero encounters several disparate characters in his increasingly delirious state. Tremendous, deep photography lends it real atmosphere, with good performances all round (despite some variable Irish accents). For all that, some parts are a little too surreal and/or philosophical, as it focuses on the 'conflict in the hearts of the people', rather than the political conflict, which undermines the pacing and tension somewhat. Incidentally, this film helped make the Crown Bar in Belfast a famous tourist hotspot, but a word of warning; the snugs in the bar might be a good place to lie low for a while if you've been shot, but they're a disaster if there's 9 of you wedged in there and you have to get out for a piss. 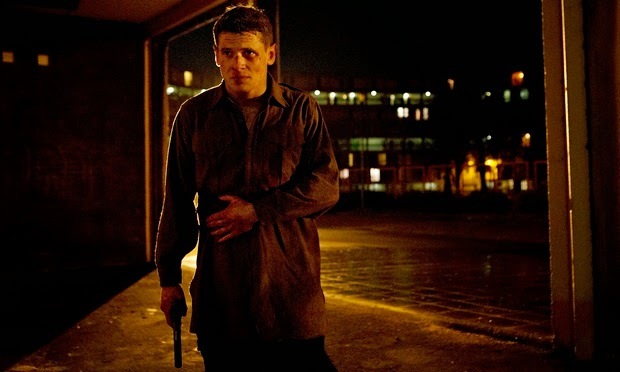 '71 (Yann Demange, 2014) is a much more visceral affair, although it too is less concerned with the political background than the impact upon individuals caught up in it. Set in 1971, it sees British soldier Gary Hook (Jack O'Connell) deployed to Belfast with his squad, only to end up separated from them during a riot and left alone to negotiate his way back to safety of his barracks. Along the way, he encounters characters from both side of the divide who alternately want to help or hurt this stranger in a strange land. First-time director Demange, a Frenchman with little previous knowledge of the conflict, not only does an excellent job of recreating the chaotic claustrophobia of the times, he also brings an even-handed outsider's view to proceedings, taking pains to acknowledge the viewpoints of protagonists on both sides, even if the overall political context is simplified. In the central conceit of an injured man surviving the means streets of Belfast it has inevitable comparisons with Odd Man Out, but John Carpenter's early movies are perhaps a better touchstone, with the minimalistic David Holmes score recalling that of Assault of Precinct 13, whilst the plot plays out through the dark, forbidding city streets like a grimmer version of Escape from New York. Not many wisecracks here and for any Northern Irish viewer, there's always a slight uneasiness in seeing the darkest days of The Troubles recreated onscreen. Ultimately, '71 is a tense, grimy and rather sad thriller, which is entirely fitting for a film set during such a tragic, dirty war.